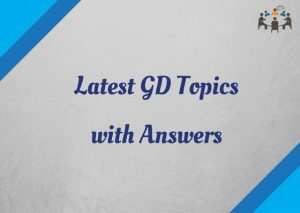 You should attach question paper to assignment. Write your details and the assignment details. You can write in this sequence - Enrollment no., Name, Address, Course Code, Course Title, Assignment No., Study Centre, and finally Date of submission. Finally tie the loose papers with treasury tag. I couldn't find free image of treasury tag online. To avoid copyright issues, I'm not uploading the image here. You can check this link to see how the treasury tag looks like. Make separate bundle for each assignment. That means MSO-001 assignment bundle, MSO-002 assignment bundle etc. It's better to take xerox of your assignments to keep the copies with you. You can submit assignments by post or in hand at your Study Center. Do not forget to receive Acknowledgement slip. In general, while submitting exam fee, they will ask you to show acknowledgement slip to make sure assignments are submitted. Even if you pay the exam fee online, it's always safe side to keep your acknowledgement slip with you till your course is over. I am in Mcom 2nd year, I scored 58% (pass in all subjects ) in first year. So ,I want to know that can I improve first year few subjects with Mcom 2nd year exams on June 2019 & still eligible for Gold Medal or not? Theres no problem on using 1 line paper for doing assignment right???? It's better to write assignments in A4 sheets. Contact them and ask about the whereabouts of the study center (Phone no - 011 2232 4086). In case they are not responding, you can ask your doubts through asking a query here - http://igram.ignou.ac.in/ . I have registered in jan 2018 &my exams are in dec 2018. Sir I have bordered all 4 sides of A4 size paper. Will it create any issue? Does the term end question paper have any common question from the term assignments ? I am doing a certificate course. May not! 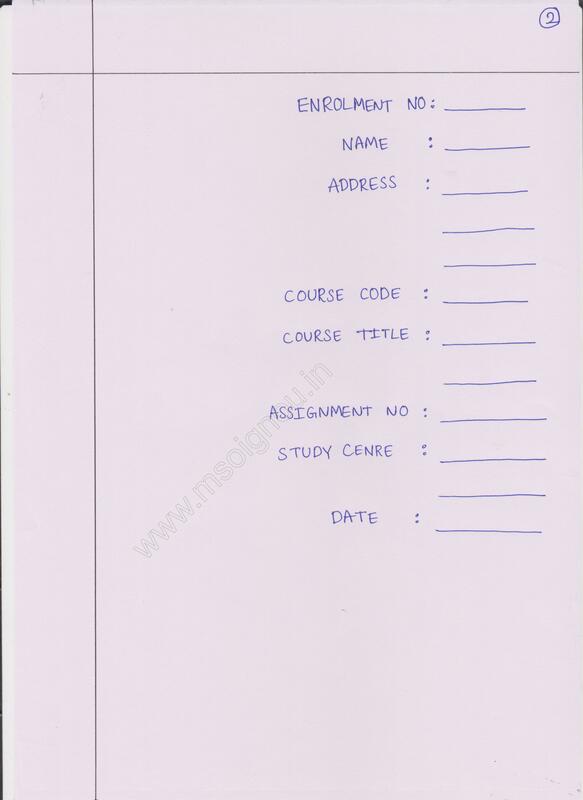 Many times, term end question papers do not have even a single question from assignment question paper. It was not mentioned that ruled paper is not allowed. But they mentioned to write in foolscap papers (which are not easily available in markets). It is better to use either A4 sheets or foolscap papers. Write the submission date (the day on which you are submitting the assignments). Course title means the name of the subject. For example, course title for MSOE-002 is "Diaspora and Transnational communities". Can I send my assignment through my friend or by post ??? Thank you very much for this important information. I have a question - I have seen in a video on YouTube that we have to fill and attach a assignment slip after front page in assignment? Please guide me about this. We have to fill these forms for each assignment and attach them to assignment before submitting. After that they will give an acknowledgement slip similar to the 2nd page in the link. We have to fill it and take signature of assignment recipient. This slip should be kept with us. Thank you very much . Your site is very useful for Ignou students. This is a very good initiative especially for the freshers. Keep it up. I want solved assignments of PGDHE .2017-18 . Very Good initiative especially MSO 002 research paper question. God bless you.